I currently live in a duplex. It has about a 7ft. x 8ft. wood deck in the back and a small concrete pad in the front. I love how intimate they are, but as I’m getting all my new magazines with shiny images of “outdoor living”, I can’t help but despair that I can’t fit an all white sectional sofa into it. So how should we respond when we see pieces that were made for places WAY too big for our own homes? Let’s look at 7 outdoor living options for small spaces- and be thankful that we don’t have to mow a lawn. All of these options are totally doable in any small space. 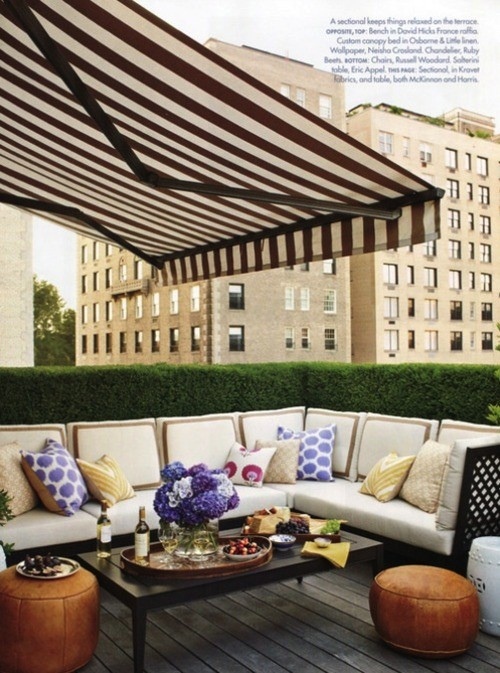 What I like about outdoor spaces, are that they can really feel like an extension of your home...if you use them. If you have an outdoor space- please use it! Light a bug candle or take some allergy medicine, but by all means enjoy the space that you have. I think that the worst thing you can do is not use your whole house. Including your outdoor space! 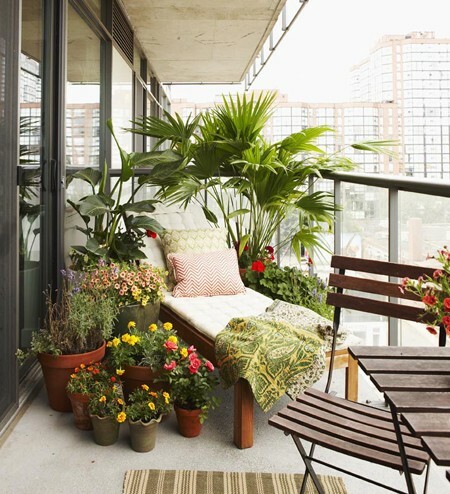 Do you have a small outdoor space? What do you put on it?